The topic “Which is the Fastest Aircraft in the World” is not that simple. A nice overview of the 10 fastest planes in the world can be found on MiGFlug’s blog, that makes for a nice overview. Some count the fastest vehicle, the Apollo module as record holder. The command module had Top Speeds around Mach 30, that is around 36,750 km/h or over 22,830 mph. But the Apollo can’t be counted as Aircraft. Also, the Space Shuttle reached around 17,500 mph or 28,000 km/h during atmospheric reentry. But we do not count those spacecraft as planes. If the Spaceplanes would be included in the competition, they would unsurprisingly win with high margin. Another distinction is between air-breathing planes and Rocket planes. Rocket planes are incapable of breathing air, so they are in another category. 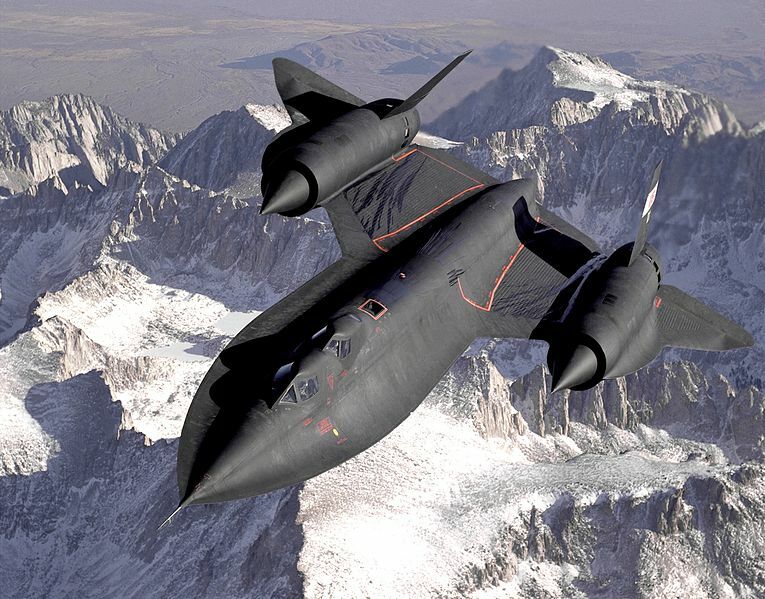 The fastest air-breathing plane is the fascinating Lockheed SR-71 Blackbird. The SR-71 is a Mach 3.3 strategic US reconnaissance aircraft, in service from 1966 to 1998. Only 32 SR-71 have been built. The SR-71 reached the Top Speed of over 3530 km/h (>2200 mph and >1900 kts). It was developed by the legendary Skunk Works. The Russian interceptor MiG-25 Foxbat reached Mach 3.2, but at that speed the engine has been damaged. So actually it could fly “only” at Mach 2.83. The MiG-25 was constructed to intercept supersonic bombers like the Convair B-58 (Top Speed 2300 km/h) and the Lockheed A-12, the precursor of the famous record-holding SR-71. By the way – here is quite a funny story of an SR-71 Blackbird pilot trolling a bragging F/A-18 pilot. The Sovjet Mikoyan MiG-25 Foxbat is the fastest Fighter Jet ever built. 1190 MiG-25 have been built and it is still active with the Russian Air Force. The MiG-25 holds a series of records, for example the altitude record with 37,650km or 23.4 miles altitude. Also, it reached 25km in 2 minutes and 34 seconds. These values have been achieved with Parabola flights which are also used for Zero Gravity, not with parallel flights. That means the MiG-25 is rather shooting up like a bullet and comes down again, it is not able to stay at this record altitude. The Two-Seater on that picture was available for Tourist Edge of Space Flight experiences on Zhukovsky Airbase near Moscow until 2006. 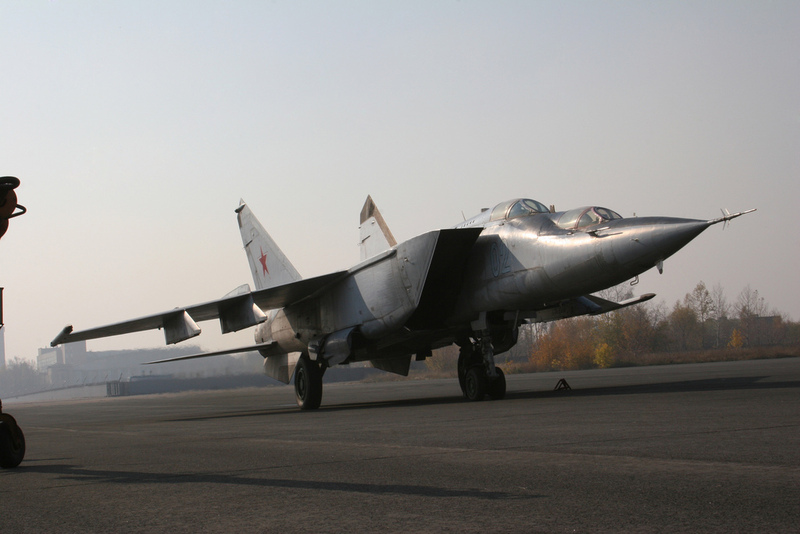 During tourist flights, the MiG-25 reached up to 25 km. Today the fastest jet available for tourist flights is the MiG-29 Fulcrum. At the same time, it is the last possibility for Civilians for a supersonic flight. The fastest manned plane flight was by Pete Knight in 1967. 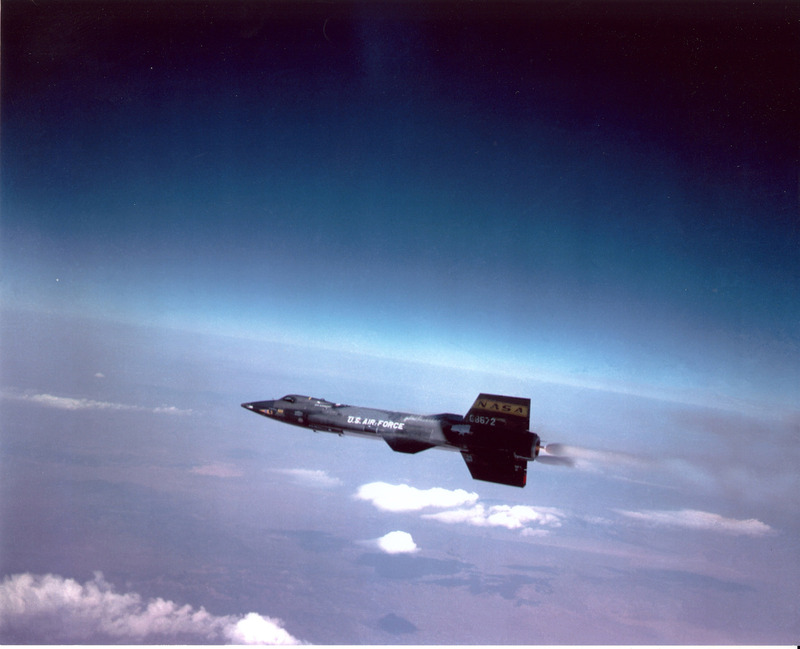 He achieved a Maximum Speed of 7,274 km/h or 4,510 mph in the experimental aircraft X-15. The North American X-15 also reached the Kármán line, also known as Edge of outer Space. The Kármán line lies at 100 km or 62 mi. Unmanned rocket planes are even faster: The hypersonic NASA X-43 achieved 12,144 km/h or 7,546 mph in 2004, using a “scramjet”, which means supersonic-combustion ramjet. Both rocket planes, the X-15 and the unmanned X-43 need a carrier plane to start. The X-43 has now been replaced by the Boeing X-51, also an unmanned Scramjet, a joint “Waverider” program by US Air Force, NASA, DARPA (Defense Advanced Research Projects Agency), Boeing and Pratt & Whitney. Here you can see a short video of the fastest plane, the Lockheed SR-71 Blackbird. What happened to Thunder City?